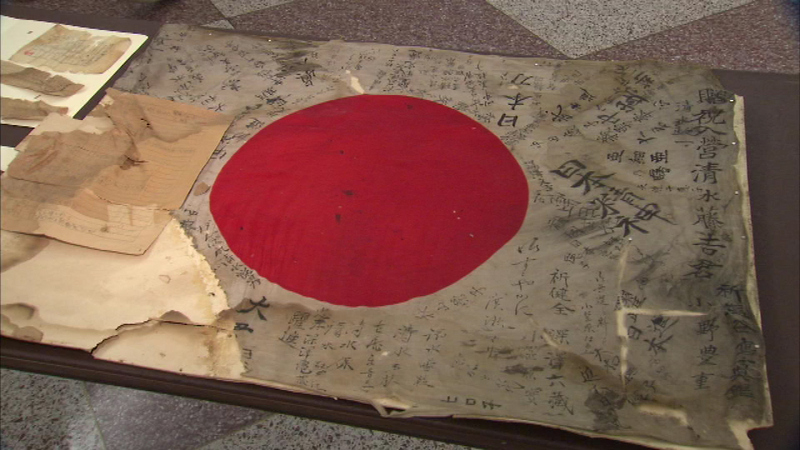 A rare WWII-era Japanese flag was discovered in a storage room in New Trier High School. WINNETKA, Ill. (WLS) -- A rare piece of war history was found in New Trier High School's basement. A World War II-era Japanese flag was found during some construction work at the Winnetka campus. Soldiers carried them for good luck. Students are working with an organization in Japan to try to find the flag's owner. Sept. 2 also marks the 70th anniversary of Japan's surrender in World War II.